I went in for a trim a few weeks ago and ended up cutting 4 inches off! What do you think? I'm still getting used to it, I do like switching things up but miss my beloved top knot! 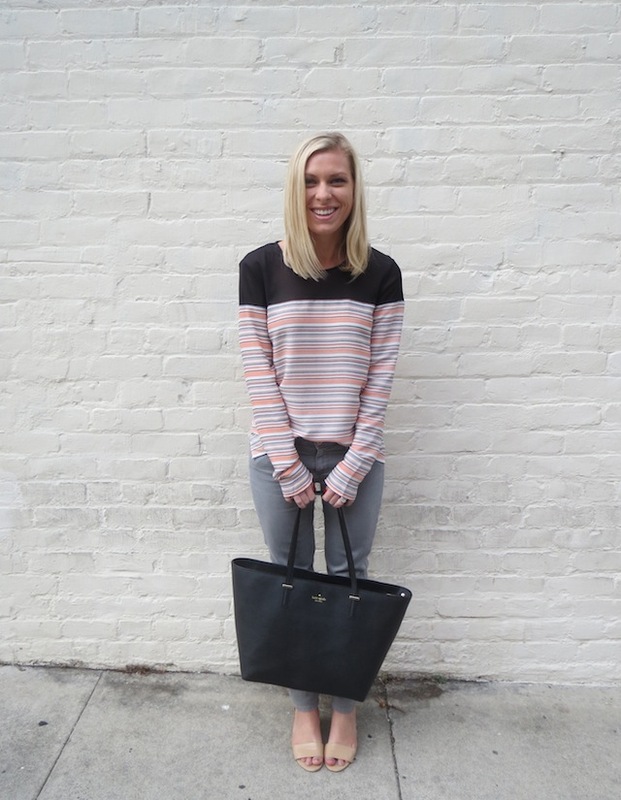 This striped Charles Henry top was one of my final purchases from Capricorn, my favorite La Jolla boutique, before moving to San Francisco. It's one of those great shirts that doesn't wrinkle and the sheer panel at the top makes it dressy enough for after-work drinks. love the top and the color of those jeans!! Your hair looks great! I read that it takes like three or four good washes to get used to a new cut and for your hair to acclimate to it, so it's totally understandable. Also that top? Fabulous!